Enjoy our Special Offer of our Unique Hotel near Khaosan Road and Traditional Northern Thai Restaurant “Srida” open at the Ground Floor. Housed in a Hip Heritage Building with an Concept design inspired by the Age of Gods Ramayana. The Story Emerged 2nd Millennium CE after the arrival of Islamic rule in the Indian subcontinent. The EPIC War begun, between Hunaman and Totsakan. Besided being a popular Goddess in Hinduism, Hanuman & Totsakan are also related to Jainism and Buddism. The Legendary art found outside the Indian Subcontinent such as in Myanmar, Thailand, Cambodia, Indonesia and a Country in South East Asia. 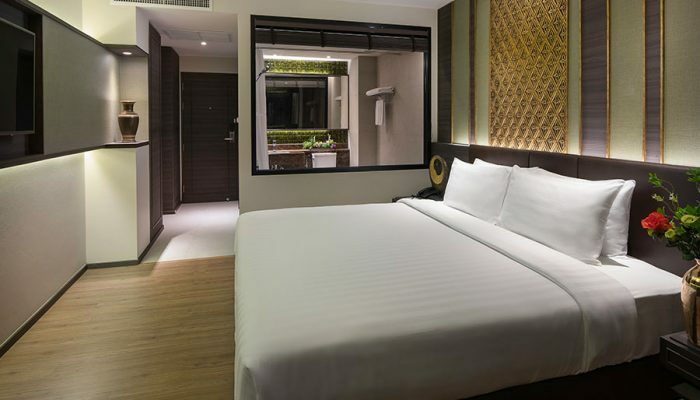 indulge yourself in the luxury hip guest room designed in two ancient mixed concepts, Hanuman Concept and Totsakan Concept. All Room offer Large 50 inch Smart TV where you can connect to your Smartphone or Watch NetFlix inside the Room. Enjoy your private Jacuzzi equipped with 8 Jet Heads to massage your body, escape your busy life and lost yourself in the ancient history of Buddism. The Relaxing time for you and your love one begins right here. 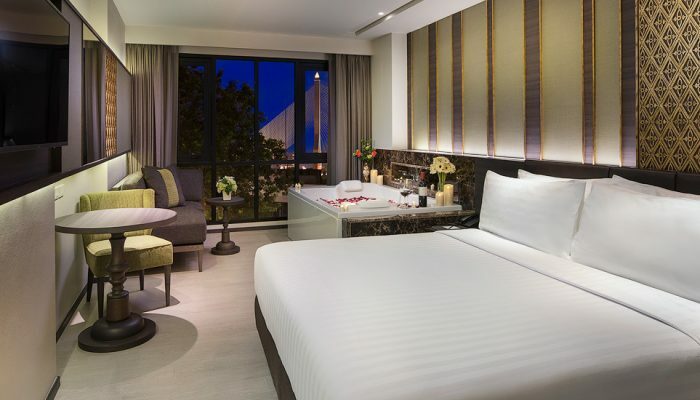 10 Chillax Heritage Hotel Phra Arthit Road, Phra Nakhon, Bangkok 10200, Thailand. โรงแรม ชิวแล็กซ์ เฮอริเทจ บ้านเลขที่ 10 ถนน พระอาทิตย์ เขต พระนคร, กรุงเทพ 10200, ประเทศไทย.